I will never be a famous artist. I will never win the world's greatest art teacher award (is that a thing?). I'm not being self deprecating.....just speaking the truth. Those type of achievements require amazing dedication. My attention is too divided for such things. I'm not meaning that in a negative way. We all have priorities. They may change some during different stages of our lives, but we all make choices of what is most important. I'm a husband, father, son, brother, friend, teacher, blogger, artist....etc. To be among the elite in any field you must sacrifice a great deal to focus your attention and effort. Your priorities take your attention...your attention gets your effort...your effort yields growth...and growth has its reward internally/externally. I'm at peace with the priorities in my life (most days) and the impact they have on other areas of my life. However, I'm also unwilling to become complacent. Though I'll not be a world famous artist or the world's greatest art educator...I will not stop being diligent to read, research, reflect, connect, practice, and participate in art & art education. Continual growth is the goal...not awards & accolades. I want my students, co-workers, and peers to look at my life & work and see that I never stopped...I never rested on yesterday's achievements...I never allowed myself to become complacent. Complacency is the descent into irrelevance. Nobody wants that for their life! 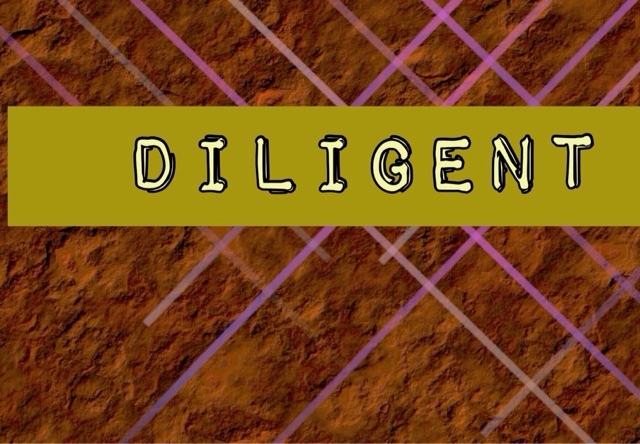 How diligent are you in your faith? What are your priorities? Can others see what is most important to you by how you speak, how you live, and where you invest your time & effort? Faith is not a matter of convenience. It is not something we can bring out Sunday morning, and then the rest of our time act as if it doesn't exist. I'm not saying you must become a pastor or globe trotting missionary, but we must be careful not to become complacent. We must be diligent to seek out opportunities to grow in our walk with God, challenge ourselves in our faith, and live out this journey with others. In doing this...we can be the best version of who God created us to be...each unique & wonderful...with an important part to play in His plan! Don't let anything get in the way of that!! Remembering that our priorities take our attention...our attention gets our effort...our effort yields growth...and growth has its reward internally/externally. 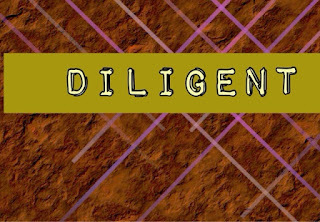 Wow that's wonderful scripture connection, with diligence we make progress and stick with glory for our Lord. We take challenges and unexpected events with a measure of His grace and hopeful assurance that Christs work is ongoing in us.